The Saints can score. That much is evident after two nights in the Pepsi Classic which saw Seward score 119 in the opener and Saturday beat God’s Academy Prep (1-2) 105-79 in the Green House in the finale of the Pepsi Classic. Seward made 54 percent of their shots and forced 26 God’s Academy turnovers. Seward led 58-31 at halftime but God’s Academy out-scored Seward in the second half 48-47. Deverell Biggs scored 26 points, grabbed 11 rebounds, and dished eight assists. Irvin Hollinger added 20 points and six rebounds. Kaheem Ransom dropped in 17 points with four assists. Edson Avila scored 13 and pulled down nine rebounds. Brice Jenkins scored 10. 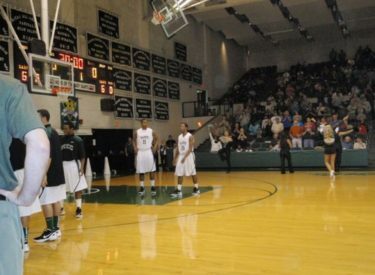 Seward made 14-18 free throws. The 2-0 Saints play Friday and Saturday in Garden City at 3:30 against Highland and North Platte. Only Friday’s game will air on Talkradio 1270 and kscbnews.net.